So you advice me to continue the simulation. I don't know why this gap on the right side of the water box was created..? > > 310K was established. > > residues are being simulated now in vacuum?! > filled with copies of particles translated by whole periodic box vectors. > that it cuts through the middle of any of the circles. > ​That is because the heating occurs rapidly at the start of each stage. 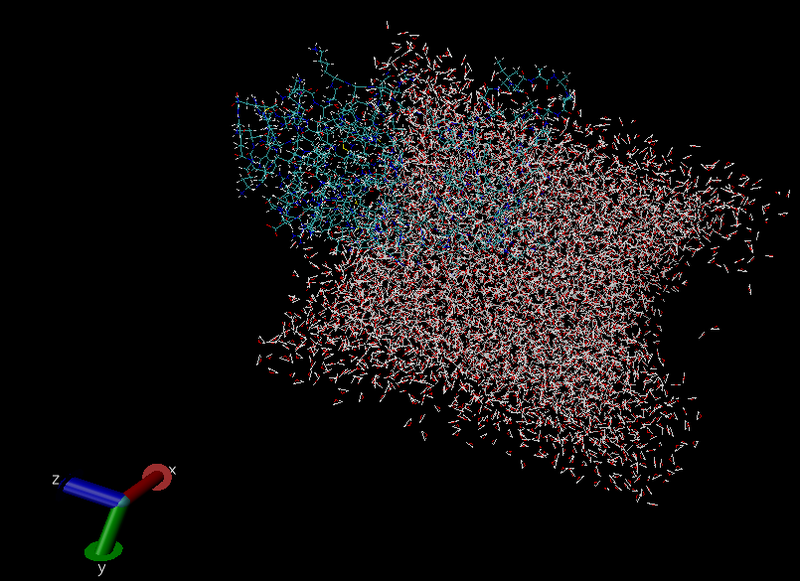 > the system steadily from low to high temperature in a single simulation. Next message: Jason Swails: "Re: [AMBER] The protein is Leaving the water box!" Previous message: Gerald Monard: "Re: [AMBER] Job submission script for SGE"
In reply to: Jason Swails: "Re: [AMBER] The protein is Leaving the water box!" Next in thread: Jason Swails: "Re: [AMBER] The protein is Leaving the water box!" Reply: Jason Swails: "Re: [AMBER] The protein is Leaving the water box!"